Alexander‘s biographer Plutarch of Chaeronea states that Alexander the Great founded no less than seventy towns, which were important centers of the Greek cultures in the East. By these foundations, the sage of Chaeronea implies, the Macedonian conqueror changed the nature of his oriental subjects from barbarians into civilized people. This in exaggerated. As far as we know, Alexander founded some twenty towns: the real Greek towns, poleis, which Plutarch must have had in mind, the permanent military garrisons or katoikiai, and the temporary military settlements, phrouria. Other towns were simply repopulated or just renamed. 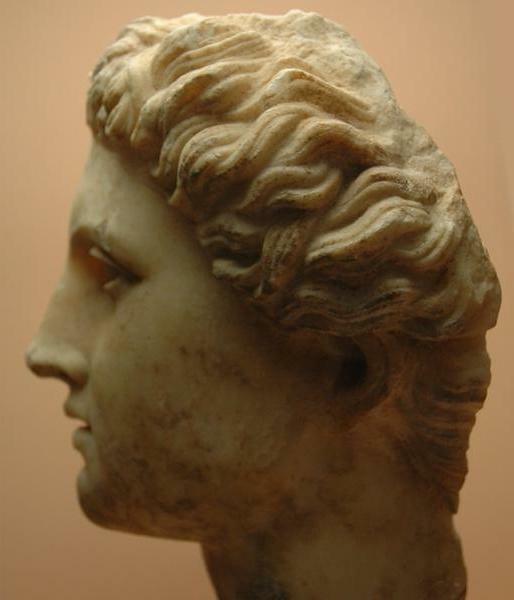 Alexandrupolis: founded in 340 by the crown prince. This was a really Greek city, built among the Maedians, a tribe on the banks of the Strymon. It must have been somewhere in the neighborhood of modern Sandanski in Bulgaria. Alexandria in Troas: a town near Troy, founded in the Spring of 334. It may have been founded by one of Alexander’s successors. Alexandria by the Latmus: a town in Caria, maybe founded as a garrison or military settlement in the winter of 333. Probably, it was founded by one of the successors of Alexander, who named it to the former king. Alexandria near Issus: Probably a permanent garrison where veterans of the battle of Issus could begin a new life, together with local inhabitants. Modern Iskenderun in Turkey. Tyre: repopulated with Greek emigrants and natives in 332/331, together with a permanent Macedonian garrison. Gaza: repopulated with European emigrants and natives in 331, together with a permanent Macedonian garrison. Alexandria: the site was chosen in January 330; the city was founded on 7 April. This was an entirely Graeco-Macedonian city, although there was also a native quarter and a Jewish quarter. The Jews and natives were second-class citizens (text). Alexandria in Aria: perhaps, the Arian capital Artacoana was repopulated with natives and Macedonian veterans in September 330. It was probably meant as a permanent garrison. Alternatively, this was a completely new town. Modern Herât in Afghanistan. Prophthasia in Drangiana: the Drangian capital Phrada was just renamed in October 330; «Prophthasia» means «Anticipation». Modern Farâh in Afghanistan. Alexandria in Arachosia: the Arachosian capital Kapisa was repopulated with natives and Macedonian veterans in the winter of 330/329. It was a permanent garrison. Modern Kandahâr in Afghanistan, which still bears Alexander’s name (derived from Iskandariya, the Arabic and Persian rendering of «Alexander»). Alexandria in the Caucasus: the Gandarian capital Kapiša-kaniš was repopulated with 4,000 natives and 3,000 Greek and Macedonian veterans in March 329. It was a permanent garrison or a Greek city, although many settlers felt that it was a punitive colony. Modern Chârikâr near Kabul in Afghanistan. Alexandria Eschatê: founded in the Summer of 329 as a permanent garrison on the Jaxartes (Syrdar’ya). Settled with Macedonian and Greek veterans and native serfs. Modern Khodzent in Tajikistan. Alexandria on the Oxus: refoundation of a Persian city, settled with Greek and Iranian veterans and native serfs. Probably modern Ai Khanum in Afghanistan. Probably founded in the Spring of 328. Six cities north of the Oxus. Populated with native prisoners of war who served as serfs for the Macedonian soldiers. Meant as permanent garrisons, together forming a kind of wall against the northern tribes, the Sacae. One of these cities may be identical to modern Termez in Uzbekistan. Alexandria in Margiana: refoundation of a Persian city in the oasis of Mary in modern Turkmenistan. Settled with Macedonian, Greek and Iranian veterans and native serfs. Arigaeum: the Aspasian capital was repopulated with natives and Macedonian veterans in the Spring of 326. It was a permanent garrison. Modern Nawagai in Pakistan. In the neighborhood were several temporary military settlements: Bazira, Ora, and Massaga. Nicaea and Bucephala: twin foundation of permanent garrisons on opposite banks of the Hydaspes (Jhelum), founded in May 326 on the battle field. Settled with Greek, Macedonian, and Iranian veterans and natives. Modern Jhelum in Pakistan? The towns had large dockyards, which suggests that they were meant as a center commerce. Alexandria on the Hyphasis: founded in July 326 on the eastern border of Alexander’s empire. Settled with veterans of unknown origin. Alexandria on the Indus: founded in February 325 on the confluence of the Indus and the Acesines (Chenab), probably on the site of an older, Persian settlement. Settled with Thracian veterans and natives. Uch in Pakistan. It had large dockyards, which suggests that it was meant as a center commerce. Another town on the Indus: founded in the Spring of 325 among the Indian Sogdians. Probably a temporary military station north of Rohri. Patala («naval base») or Xylinepolis («wooden city»): temporary military settlement, founded in July 325 at the place of an earlier, Indian town. Vacated after September 325. Modern Bahmanabad, 75 kilometers north-east of Hyderabad. Rhambacia: a town among the Oreitians that was fortified by Hephaestion and Leonnatus in the Autumn of 325. If it was meant as a permanent garrison, it was soon vacated. Modern Bela in Pakistan. Alexandria in Carmania: if this city was founded by Alexander (and not by Seleucus), it must have been a permanent garrison founded in January 324. Perhaps modern Golâshkerd in Iran. Alexandria in Susiana: not far from the mouth of the Tigris. Probably settled with Macedonian, Greek and Iranian veterans and natives. Later known as Spasinou Charax. In the neighborhood of Al Qurnah in Iraq. These were the towns that were founded by Alexander. Most of them are military settlements, where Macedonian and Greek veterans were left. They were not happy, so far from the Mediterranean, and on at least two occasions – both after a report of Alexander’s death – the homesick veterans decided to go home.